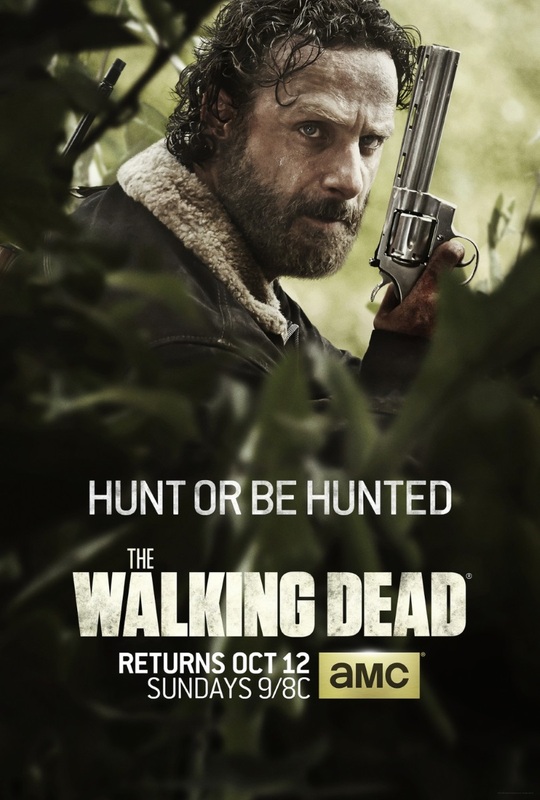 Sheriff Deputy Rick Grimes leads a group of survivors in a world overrun by zombies. We see a masked man walking in the forest, stops in front of one of the panels installed by the inhabitants of Terminus Rick erased moments before, to replace the entries with “No Sanctuary”. The man removed his mask and it turns out it’s Morgan. He continues to walk to follow a path indicated by mysterious signs painted on the trees. Morgan explores Gareth’s camp and Fr. Gabriel’s church, where he finds the map Abraham left for Rick. Michonne is about to replace her katana on the wall, but changes her mind and instead places the sword into the scabbard on her back. The red poncho man, now a walker, wanders around the yard where the Wolves keep the other walkers. The car in the yard is spray-painted with the words “WOLVES NOT FAR”.